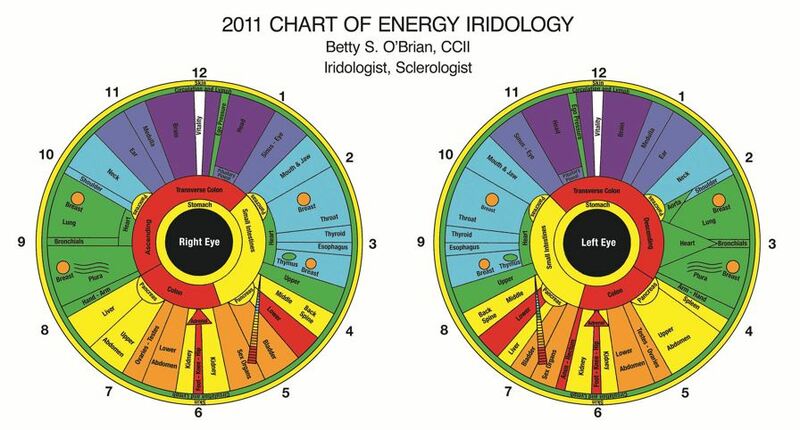 Are you looking for Iridology I & II? Click here to view the syllabus and register for on-line Iridology I and II starting at your convenience. Contact Betty Sue to register for in-person training. Betty Sue has had so much experience with clients in real life that she has a deep and genuine passion for this work, including serving as Past President of IIPA, the International Iridology Practitioners Association. At the Academy of Iridology, we offer training, IIPA certification, mentoring for fellow Iridologists around the world, and textbooks. After you complete the basic Iridology I and II, you are eligible to sit for the certification exam administered by IIPA. Click here to learn more and to register for Iridology I and II. Betty Sue can bring you the right combination of formal training, self-motivation and self-development to nurture your successful IIPA Certification Process. But don't stop there! IIPA Certification is essential but it only covers the basics. SCLEROLOGY 101 - Sclerology is the analysis of the red lines in the white of the eye, and shows us current acquired stressors. ADVANCED IRIDOLOGY- Advanced Iridology covers the work of many of the modern "greats" of iridology and sclerology. You can also take these courses to obtain Continuing Education Units (CEUs) for IIPA. 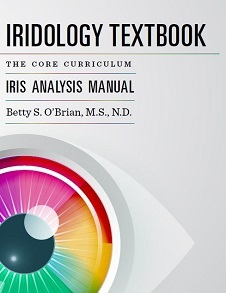 Betty Sue is the author of the Iridology Textbook: The Core Curriculum. This text book is used by many teachers and Institutes. Do you teach Iridology or sell products online? Contact Betty Sue at betty.obrian@gmail.com to buy this book in bulk at discount. I welcome to you the exciting world of iridology, a journey that I know will be more enlightening than you ever could imagine. Haven’t you noticed specks in an eye, or a brown line in a blue eye? What about mixed colors? Iridology is a study of these markings and involves the observation of iris color and structure. 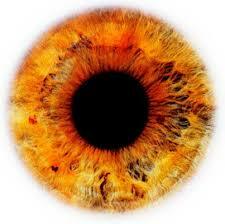 The iris is the colored (brown, mixed or blue) ring shaped disc we see when we look into another’s eyes. If you have ever looked closely at the eyes of another, you know there is beauty and mystery in the lines, shapes and patterns. Constitutional Iridology, which is promoted by the International Iridology Practitioners’ Association, relies on a person’s constitution – their inherited traits; it does not rely on symptoms to pinpoint the problem. For example, we know that most blue-eyed people are in the lymphatic category, meaning they have more drainage issues – sluggish or inflamed mucus membranes (sinus, kidney, bladder, lymph, etc.). A brown eyed person more usually suffers from blood related disorders such as anemia, diabetes, cholesterol issues, etc. This is not to stereotype people but to get to the root of the matter sooner. Usually, we map out the eye like the face of a clock, ie. 1 o’clock, 2 o’clock, and divide the eye into 12 basic sectors. In the early days of modern iridology, people believed that if you had a dark mark at a certain spot, say 6 o’clock at the bottom, you had a foot problem. However, we learned this is not necessarily true. There may be a genetic propensity for problems with the feet, but it does not have to be experienced in this life if a person makes proper lifestyle changes and experiences emotional and spiritual well being. While I believe and teach that the iris is a person’s “soul pattern,” I still believe that there is a way for this pattern to shift in one person’s lifetime, so that the genetic markers can disappear in the next generation. In Comprehensive Iridology I and II, you will learn ten basic sclera signs, as it is almost impossible to use iridology without knowledge of sclerology. A good iridologist will go on to take at least Sclerology 101 and top it off with Advanced Iridology, making them a MASTER IRIDOLOGIST. After the Diagnosis - What Next? Betty Sue strongly believes that it is important, as a practitioner, to not only diagnose issues but also be prepared to coach the client towards a natural, healthy lifestyle. 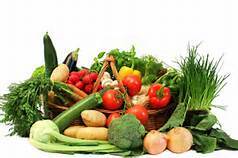 Please also consider studying to be a Traditional Naturopath and changing your own lifestyle to achieve optimal qualify of life, and to lead by example.